Provide comfort for the family of Rae Andring with a meaningful gesture of sympathy. Rae A. Andring, 75, of Camp Hill, PA, passed away on Tuesday April 2, 2019 at the Hershey Medical Center. Born on January 12, 1944 in Sewickley, PA, she was the daughter of the late Raymond N. and Ann B. (Licowski) Keefer. Rae was a graduate of Freedom Area High School. She was a sales associate for AT&T. Rae was a member of the Cumberland Valley Tres Dias and St. Patrick Cathedral in Harrisburg. She liked to visit hospital’s and schools with her dog Rueben, whom she trained to become a certified therapy dog. Rae is survived by her husband of 39 years, William H. Andring, of Camp Hill, PA; a son, Joseph E. Pavlakovich, of Mechanicsburg, PA; and two granddaughters, Emily and Hope Pavlakovich. In addition to her parents she was preceded in death by a grandson, Joseph Pavlakovich. 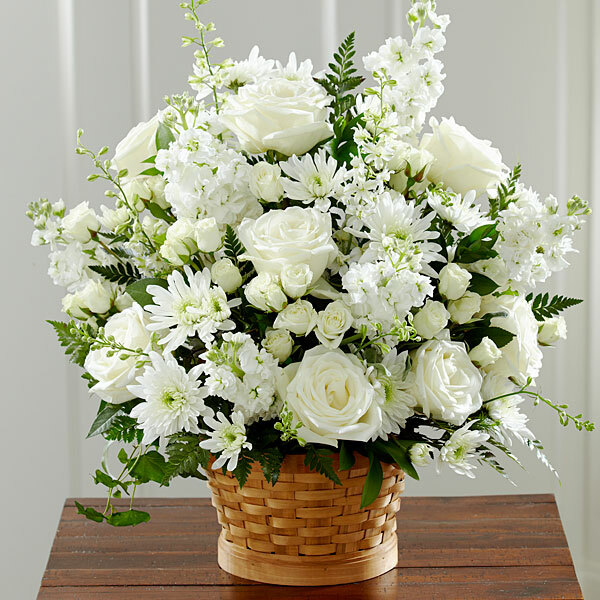 To send flowers in memory of Rae A. Andring (Keefer), please visit our Heartfelt Sympathies Store. All who attend the burial at the cemetery are asked to please meet directly at the cemetery Wednesday at 2:00 P.M.
Philou sent flowers to the family of Rae A. Andring (Keefer). On behalf of my mother, Ruth Ann Sarkis, and myself we want to express our deepest sympathies for Rae Ann's passing. We are so sorry for your loss and will keep you all in our thoughts and prayers. I am so sorry to Rae's Family on her loss from this world. Rae and I met in first grade at Conway School and shared many mutual friends in this life. You will be joining our mutual friends Gary and Jack who await your arrival. I will be joining you at Sylvania Hills where I finally get to meet your Reubens. Bill, she always spoke so highly of you; God Bless the Andring Family. Rae was a sweet person whom I am pleased to have known. Philou purchased flowers for the family of Rae Andring.